WASHINGTON — Patients at the Veterans Affairs medical center here in the nation's capital are being endangered by lost medical supplies, unsanitary conditions and management vacancies, according to an emergency report issued by the department's watchdog. 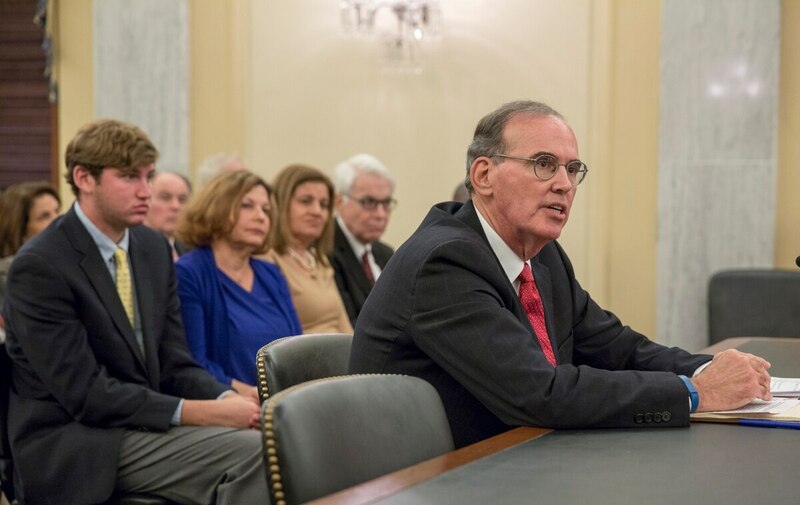 "The ongoing inventory practices at the medical center are placing patients at unnecessary risk," VA Inspector General Mike Missal wrote in an interim investigation report released Wednesday. "We are particularly concerned that the (facility and regional leaders) have been slow to remediate these serious deficiencies." In response, VA officials demoted the center's medical director on Wednesday and promised a full review of operations at the site. "The department considers this an urgent patient-safety issue," officials said in a statement. "VA's top priority is to ensure that no patient has been harmed. If appropriate, additional disciplinary actions will be taken in accordance with the law." The site, which sits about four miles away from the department's national headquarters a block away from the White House, has faced problems for "some time" without improvements, the report states. While no patients have yet been harmed by the problems, the investigation indentifies numerous instances of missing supplies and potentially devastating mistakes like the use of expired and non-sterile equipment in surgeries in recent months. "There was no effective system to ensure that supplies and equipment that were subject to patient safety recalls were not used on patients," the report states. "Eighteen of the 25 sterile satellite storage areas for supplies were dirty. Over $150 million in equipment or supplies had not been inventoried in the past year and therefore had not been accounted for." The hospital serves nearly 100,000 veterans in the region. In response to IG concerns that key management positions needed to fix the problems were vacant, VA officials assigned a new logistics chief, several technicians and other staff on a temporary basis to address the concerns. Those fixes have been in place for about two weeks. But investigators called those fixes "short term and potentially insufficient to guarantee" a permanent solution to the problems. "Further, shortages of medical equipment and supplies continued to occur while (investigators) were on site, confirming that problems persisted despite these measures," the report states. VA hospitals and the department as a whole have struggled in recent years to repair their image in the wake of the investigation into 2014 wait times scandal, which found dozens of instances of local medical officials manipulating wait time data to cover up medical access problems facing veterans. In numerous public appearances in recent weeks, VA Secretary David Shulkin has pledged to reform the department and bring a more customer-focused attitude to all department offices. He has also pledged to get rid of problematic and underperforming employees. "When you have one or two or three people who really aren’t doing their job, they bring everybody down," he said during an appearance on Fox News in February. "And so the very best thing I know from my private sector experience is you’ve got to deal with that, you’ve got to get them out of the system, because it helps not only the veterans, but the people who work in VA who are trying to do the right thing for veterans." The interim report is available on the Inspector General’s web site.